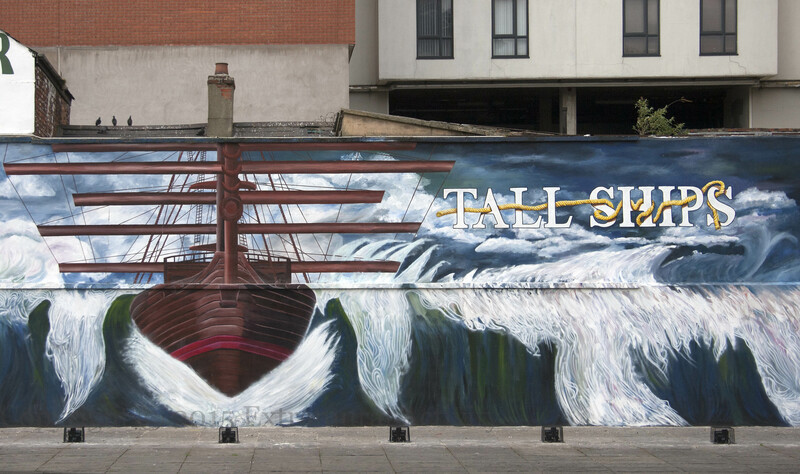 The tall ships will be in Belfast July 2nd to 5th for the start of a race that will take them to Norway and then to Denmark. The first of about 80 ships have already arrived. 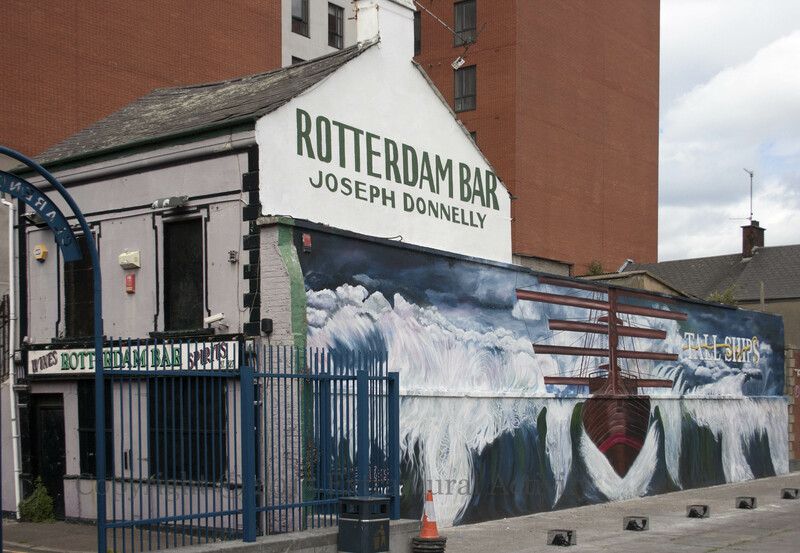 The mural above is on the quay-side of the Rotterdam bar. 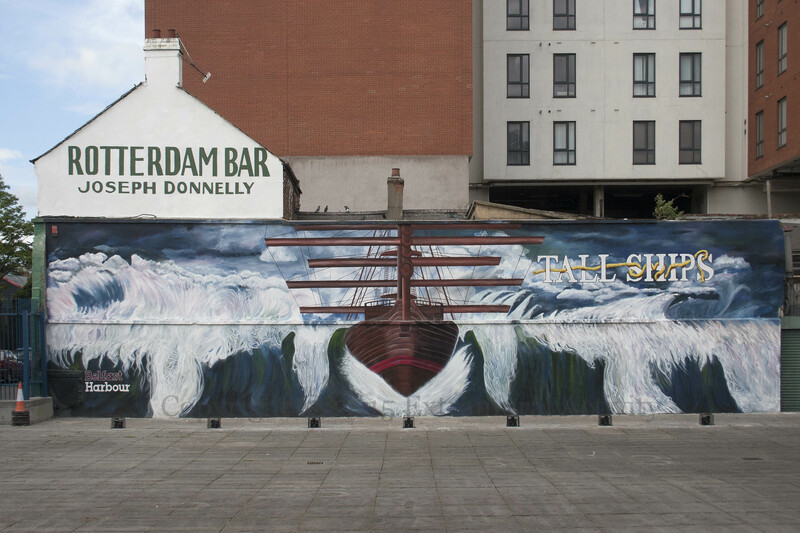 The design, by 16 year-old Daniel Hamilton, is the winner of a Belfast Telegraph competition.